Do you need your basement, attic or garage cleaned out? Or maybe even your storage unit? 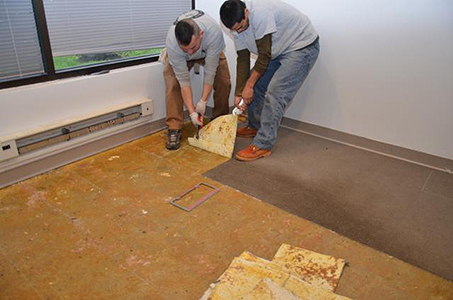 Are you looking for a construction debris removal service for your properties? You may be a builder needing a demolition crew for a kitchen and bath renovation project. Either way, we have you covered! 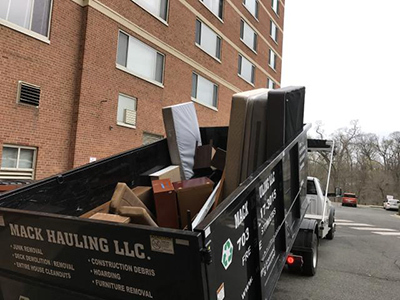 Call Mack Hauling today and find out why we’re the best company you can find in the Potomac Maryland area for all of your junk removal, hauling, and demolition needs. 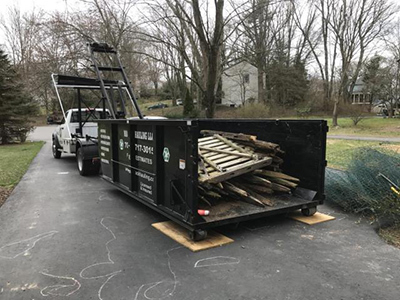 Mack Hauling is a full-service junk removal and haul away company that cleans up residential and commercial properties in Potomac Maryland and surrounding areas. 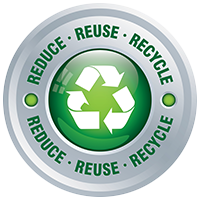 Mack Hauling’s professional junk removal crew will clean up, remove, dispose and recycle any and all unwanted items. 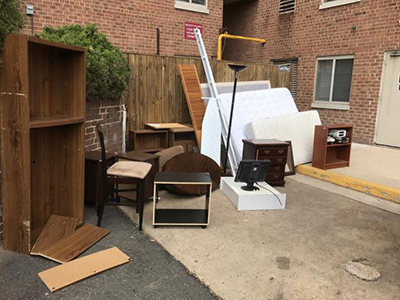 Everything involved to dispose of your unwanted items is handled by the crew. You just sit back and relax while they clean up the junk and your source of stress!! The only finger you lift, is the one to point to the junk you want gone! Reasonable, reliable, and really fast. We are confident you will agree we are unlike any other hauling company out there! Personality, Reliability, Expertise, Low Prices, Customer Service, Years of Experience, and a passion for the industry. Much More – Call And Ask Today, Get Rid Of It Tomorrow! Wood, Shingles, Bricks, Drywall, Carpet, Plaster, Tile, Hot tubs, Sheds, Fence, rotten decks and patios, etc..
We will provide tenant cleanout services to apartment complexes in or near the Potomac MD area including apartment complexes such as The Perry, Victory Terrace, Eaves Washingtonian Center, Milestone Apartment Homes, Avalon at Traville, Century Crosstown Apartments, and any others. We serve the entire Potomac MD area in Montgomery County Maryland including Bear Island, Cabin John, Rockville, North Bethesda, Bethesda, Friendship Village, Silver Spring, Darnestown, Seneca, North Potomac and all surrounding areas.